Mackinac Island - A place for great adventures. Mackinac Island is like a sanctuary to me. It is a place to which I am drawn. I feel refreshed and recharged when I am there. When I approach the island I feel like I am coming home. 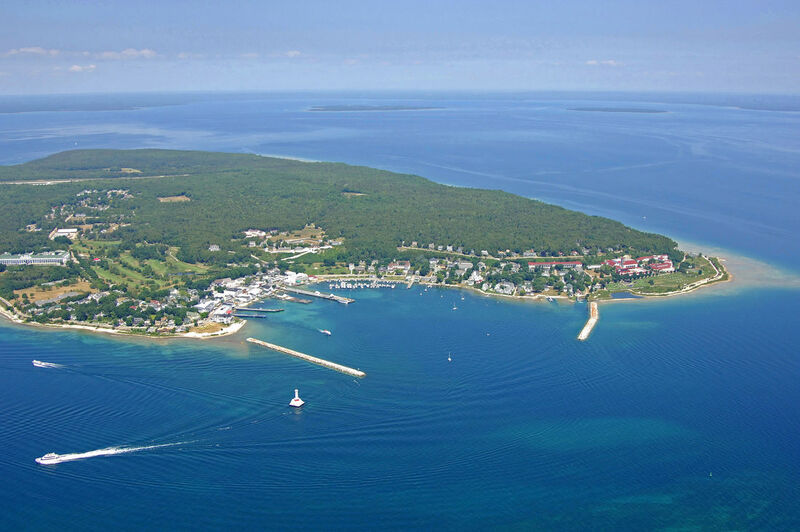 In case you don’t know about Mackinac Island or its history, it is an island in Lake Huron, of the Great Lakes. It is visible from the 'Mighty Mac' (the Mackinac Bridge). On the island there are no motorized transportation vehicles only horses and bikes. You can get to or from the island by ferry boat and plane. There are bustling streets filled with shops to browse or there are quiet places to relax and explore. Much of the island is a Michigan State Park. The island is loaded with beauty and history and is a treasure. You can visit many sites on the subject. Here is one such site: http://www.mackinacisland.org Perhaps you are familiar with the movie Somewhere In Time which was filmed there. I think it is more than a coincidence that my first step into the world of children’s books was on the topic of Mackinac Island. It is a place that I knew well, and in which I wanted reveal in all it’s wonder. I view the island as more than just a backdrop of this story. I tried to illustrate that Mac’s Mackinac Island Adventure was about the island as much as Mac and his escapades. I am always intrigued by the changing colors of the island, where brilliant blues and greens can give way to stormy grays in an instant. My senses are always soothed and replenished when I am there. Throughout the years, I’ve gone to the island many different times with friends and family. In 1989, I had an incredible adventure. It was a whole weekend event as we all gathered to see my husband and me get married and to celebrate. Since then, we return when we can. It is gratifying to bring our son there, to the place have enjoyed so much. In 2005, it was another adventure as friends and family were there at our first book signing at The Island Bookstore. That was an incredibly special time for me. Over the years, I’ve taken so many pictures of that place, and have so many more tucked in my mind and heart. May you have many adventures there as well! There are two commonly used spellings; both are pronounced the same way. (Pronounced Mack-eh-naw) Mackinac is the French spelling. Mackinaw is the British spelling. That area of Michigan has a varied history of influences. Historically, it was inhabited by Native Americans, the indigenous people of this place, and then the many newcomers to the area like the British and French fur traders, missionaries, and miners.